Happy Friday! Gosh I love that word, Friday. It just rolls off the tongue. Friday! Say it with me, FRIDAY! Keep reading to find out what Aly has in store for us! There are MANY incredibly talented people in the nail art world, with many more coming into the nail art world every day. 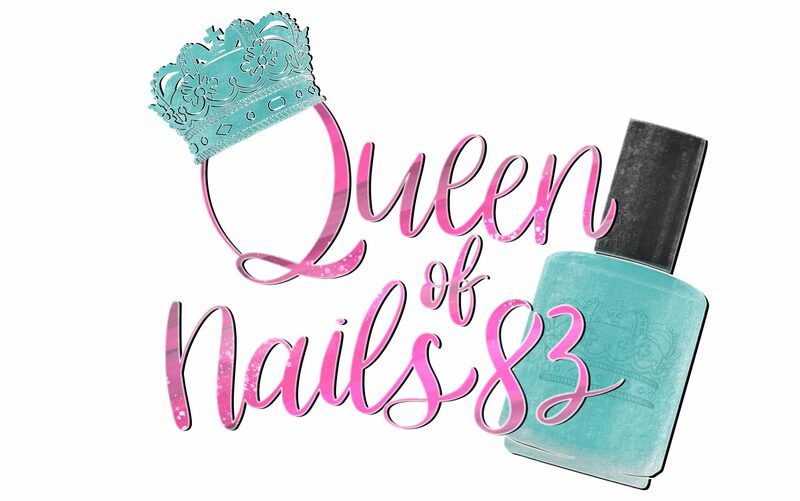 I’ve come to know that among those in the nail art community there are many that struggle with anxiety, depression, bipolar depression, low self-esteem/self-worth and other mental health issues. This brings me some comfort because I myself have struggled with depression and self-esteem issues since I could remember! As a matter of fact, my sometimes cutting wit and lightning comebacks stem from my struggles. Anywho what I’m trying to do is open up some dialog, open up the community and hopefully encourage those who normally wouldn’t speak to know that they have some place safe to talk about their struggles while creating beautiful nail art. I myself started a room on IG called Safe Haven where people can go to speak safely about their struggles, or their triumphs with whatever mental health issue they are dealing with. What’s said in Safe Haven stays in Safe Haven! Now onto the fun!!! I was contacted by Daisy at Born Pretty and asked to review some products. I chose some items that I know I’d use a lot in my art- brushes, and pigment. In the past I’ve had issues with receiving my products in a timely manner, I almost gave up on using Born Pretty, but they restored my faith in them! This time I have to say that I actually received my products pretty quickly! It was about 2 ½-3 weeks after I made my choices that I got my items in the mail. Coming from China, that’s not bad time!! Everything made it safely with no damage and I was really excited to start using them! Pictured above is the 8mm flat UV Gel Brush. I actually use it for clean-up. Depending on what shape I have my gel extensions my sidewalls get pretty deep-which means clean up can get pretty intense! Haha! It’s a really cute brush, easy to hold, and bristles aren’t too stiff or too soft. It does a good job of clean up! And if you did want to use it to put gel on your nails I think it would work well! Next up we have 2 pigments that I received from them. They didn’t have a name on them or the package it comes in, but it comes in a handy little bag you can reclose and store it in! I chose a pigment that gives a blue/purple multichrome finish, and one that is a silver chrome pigment. It looks a little different because I didn’t put gel polish on. I have on a regular black crème polish and put on a no-wipe gel topcoat (for this I used Elite 99 No Wipe Top Coat) and rubbed the pigment into the topcoat. The pigment went on easily, and it didn’t take a lot of pigment to get a great finish! All in all I’m very happy with my products! As a matter of fact, I’ve always liked Born Pretty products-the shipping, not so much! LOL But as I said, Born Pretty restored my faith in them! I love their products, especially their pigments! I highly recommend using Born Pretty pigments with your art! If you’re struggling with a mental health issue, whether it’s depression, bipolar, OCD, anxiety, etc., etc. I want you to know you’re not alone! That’s very important to understand!!! Nail art has saved me on several occasions! Don’t be afraid to fail, don’t be afraid to try again and again until you master something you’ve seen someone else do (make sure to give them credit if it’s their design). And above all, don’t be afraid to try! Let’s give it up again for Aly! *insert clapping audience here* Big shout out to Aly and the work she is doing in her IG group, I know it’s been a help and blessing to many people. Thank you for taking the time out of your schedule to be here and I do hope you’ll return or I see you on the blog scene soon! So do y’all like the guest bloggers? Aren’t they fantastic?! I like guest blogger because it’s like having company at home. And I love to entertain! If you’d like to guest blog here in the Queendom, shoot me an email and let’s talk! Love this post!!! Great job ladies!!! I’ve been searching for safe haven on ig and I cant find it? What’s your IG? I can get in touch with Aly for you.